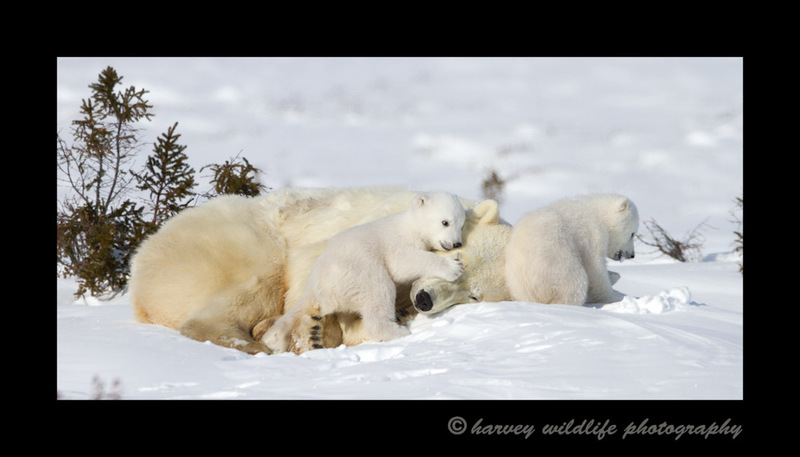 Playing on Mom: Polar Bear moms and cubs near Churchill, Canada. Mom's attempt to sleep is somewhat futile as her babies crawl all over her. They fight with one another, explore on her and ocasionally tug on her ears and cheeks and generally behave as crazy cubs.